Today KaKoRoto posted on twitter that he has successfully jailbroken Sony Firmware 3.73. He has stated it will not give users LV2 access thus no backup managers will work. 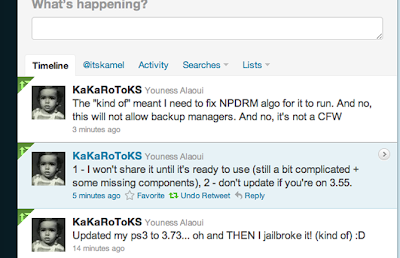 [07:30:06] ddoo, and even if npdrm signing worked.. how do you install your pkg on an OFW 3.73 ?